Reviewing CAUSEBOX: The Fall 2018 Box Reveal! 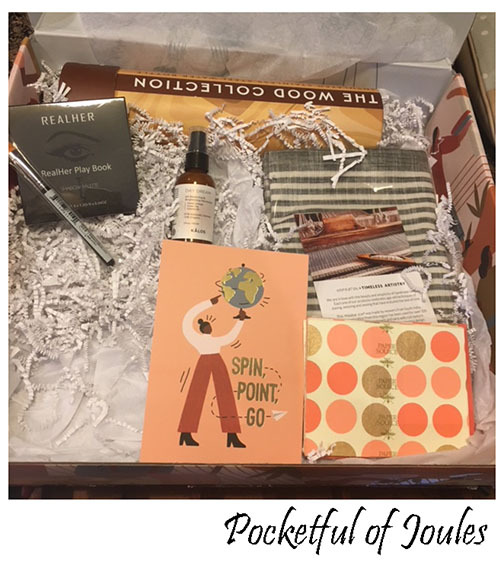 I finally received my fall CAUSEBOX! I saw the spoilers back in August and have been waiting… and waiting… and waiting for this box to ship. They had an issue with one of the items in the box getting ruined, so the box went out much later than it usually would. It’s finally here though, so let’s take a look! The Everyday Tote from October Jaipur is completely handmade by artisans in Jaipur, India using thick canvas and vegan leather. Annual subscribers were able to choose from three colorways, and I went with the dotted version. I think this tote is really pretty, but the coloring makes it seem more spring and summer, rather than fall. Also, I’m kind of moving away from the big purses, so this would be more of a travel bag for me. It is nice though, I’m just not totally blown away about it. I actually listed this in my Poshmark closet to see if there is any interest in it, since it’s not love for me. Annual members were able to select one of two beautiful, artisan-loomed scarves for Fall. 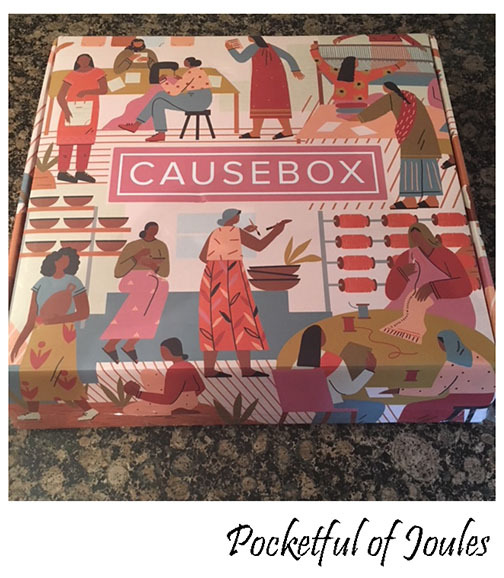 Proceeds from the CAUSEBOX partnership funded a project for the education and empowerment of 50 girls in rural India. 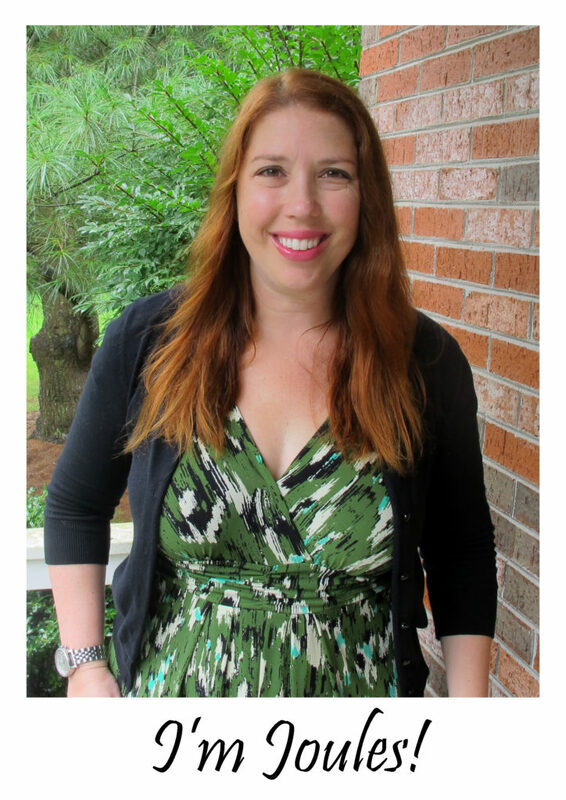 I went with the Malbar version, which has stripes of gray. I LOVE the size and feel of this scarf and the gray stripes are so pretty. I took this with me on my trip last week and it was perfect for keeping me warm on the drafty plane. I will get lots of use out of this scarf in the coming months! The pH Balancing and Brightening moisturizer promotes elasticity for softened skin and contains Vitamin A and sweet orange to brighten. Kalos donates 5% of sales to support girl’s education. The moisturizer is quite light and has a nice vaguely orange scent to it. This will certainly get some use once I run out my current moisturizer. This 9 Shade eyeshadow palette from the cruelty-free cosmetics brand that empowers women and donates 20% of proceeds to causes that their employees select. These shades are in my wheelhouse of browns, so once my current palette is used up, this one will come in handy. This set of six tree-free cards is part of Paper Source’s Premium Paper collection. They are handmade and printed by artisans India on paper that is made of recycled cotton scraps. I like the colors of this stationary set a lot. 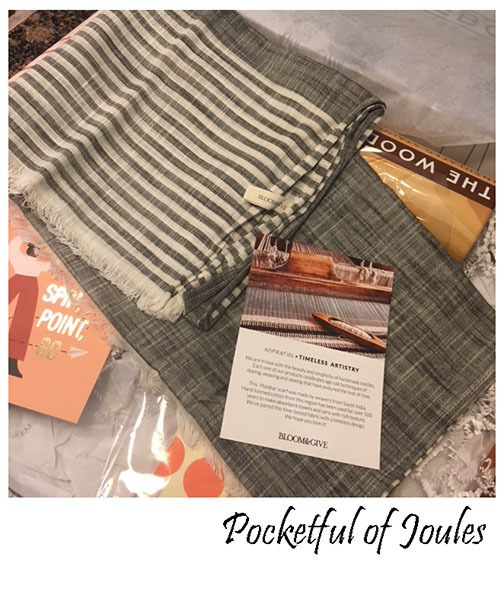 When I sell items on Poshmark, I always include a ‘thank you’ note, so these will certainly be used up! Originally this box was supposed to include a wooden cheeseboard and knife, but they realized that they had water damage when they were packing up the boxes. CAUSEBOX was able to replace the cheeseboard with these fantastic S’well Wood Collection bottles in the deluxe 25 oz size. S’well bottles keep beverages cold for up to 24 hours and hot for up to 12 hours. I’m super happy with this bottle and it will get a ton of use in our house – probably more than the cheeseboard would have. I’m very happy with the Fall box and it was certainly worth the wait. 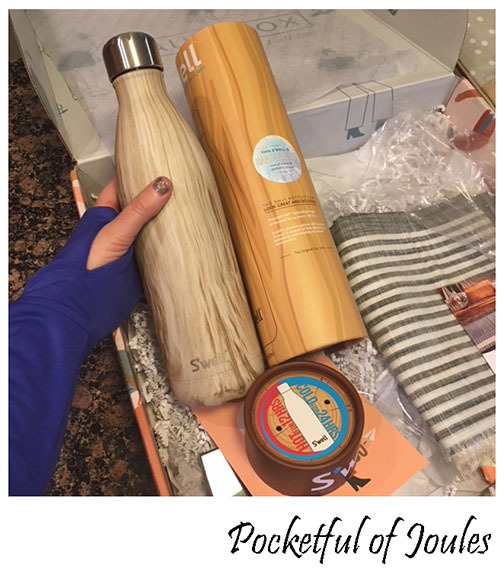 I really enjoy almost every item, especially the scarf and S’well bottle. 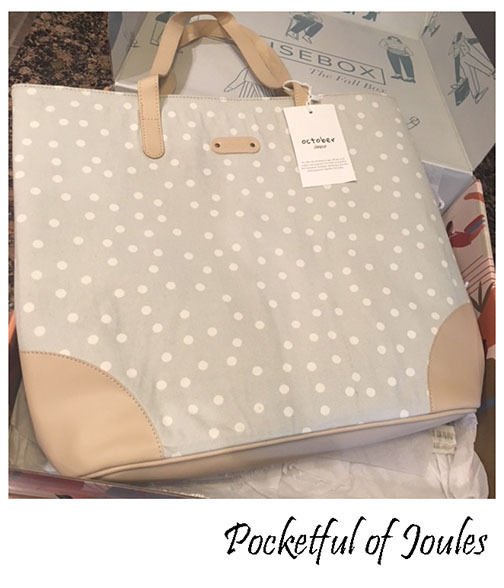 I like the spotted bag, but it isn’t love… maybe it just has to grow on me? I added up the retail values of everything in my box and it came to $263, which is less than the total retail value of the Summer box ($328). However, I feel like I will be able to use the majority of the items and perhaps gift what I don’t love! What is your favorite item from the Fall CAUSEBOX? ← I’m Going to Disneyland! The tote is really pretty, but I am thinking it is more for spring summer, as well. The eyeshadow palette and the moisturizer, would be my favorite things out of the box, with the scarf, a close second. Very nice, and for a good cause!